As we enter our second month of school, parents are reminded to avoid driving their child to school whenever possible. The weather has not been very cooperative over the last few weeks but the increase in traffic seems to exist regardless of the weather. 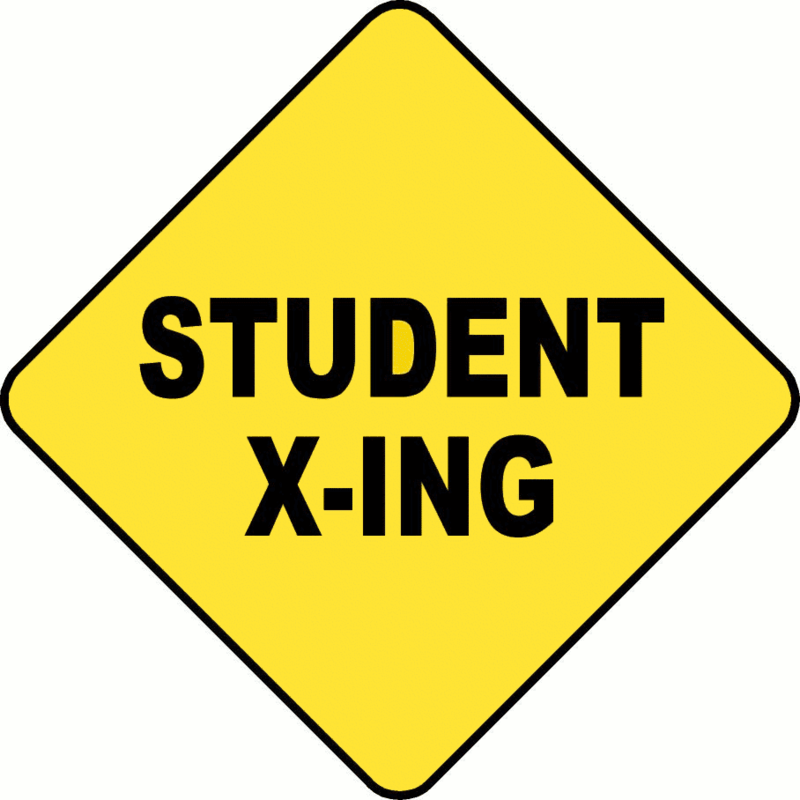 The increased congestion does create a genuine safety concern for our students and taxes the skills of our crossing guards. If you must drive, please consider the following alternatives: dropping off at the pathway on Grove Avenue or at the parking lot for Hawthorne Park. Thank you in advance for your attention to this issue. We will be hosting a "Halloween Spirit" day on Friday, October 31st and we are encouraging all of our staff and students to participate by wearing a costume. Prizes will be drawn for some lucky participants. We are looking forward to what should be a fun day. Coming up with a creative disguise doesn't mean that safety needs to be forgotten, so here are some safety tips to keep in mind. October 31 can be a chilly night so make sure that costumes are loose enough to be worn over warm clothing but not so baggy or long that trick or treaters can trip over their costumes. Trick-or-treaters should wear sturdy walking shoes. Choose brightly-coloured costumes that will be clearly visible to motorists. For greater visibility, add or incorporate reflective tape into the costume. Make-up and face paint are better than wearing masks which can restrict breathing and/or vision. If you choose to use a mask make sure it is one that allows the child to see and breathe easily. Look for costumes, beards and wigs labelled "Flame-Resistant" -- nylon or heavyweight polyester costumes are best. Flame Resistant does not mean 'fire proof'. Avoid costumes with baggy sleeves or flowing skirts to minimize the risk of contact with candles and other fire sources. Costumes made of flimsy materials have been found to burn more quickly when exposed to fire sources. Think twice before changing the colour of your eyes with cosmetic contact lenses. These cosmetic lenses should be used only under the supervision of an eye-care professional. In addition, wear time should be limited to the shortest duration possible. The lenses must never be worn while asleep, and cosmetic contact lenses should not be shared with others. On Friday, October 10th our school met for its first monthly assembly. We focussed on the notion of "responsibility" and enjoyed a presentation by Mr. Coghlan and Ms. Harris' class along with some grade 7's who helped introduce our home reading program with Ms. Ratzlaff. You can view our latest monthly video by clicking here. Please note that Hawthorne will be hosting a Book Fair in the library on Wednesday, October 22nd and Thursday, October 23rd. Our school librarian, Mrs. Ratzlaff, is coordinating this effort to raise funds in support of our library's needs. Special thanks to the many parents who have volunteered to help out at the fair. As the weather begins to take a turn for the worse, we are asking parents to ensure that our students are coming to school with clothing that is appropriate for the conditions. As well, it would be helpful if your child had a change of clothes left at the school to account for those occasions when they might get wet or muddy from outdoor play. Thank you in advance for your attention to this matter. Over the last two weeks our students and staff have been engaged in some emergency planning. We began by reviewing our fire drill procedures on October 9th. We also participated in the "Shakeout B.C." initiative last week and hosted our own earthquake drill. The drill consisted of an initial "duck, cover, hold" response followed by an evacuation. Both drills have left us all feeling better prepared for an emergency. If you should have any questions or concerns with regard to our emergency planning, please contact Mr. Carruthers at the office (mcarruthers@deltasd.bc.ca).